Do you know what the greatest source of happiness is for people who love words a little too much? It’s the ability to unwind and rejuvenate themselves through ways that take them a little closer to the ultimate love of their life i.e. of course words! And, what could be a better way of doing this other than playing crosswords? Yes, the cryptic crosswords making way for new and interesting words every day is a game whose charm certainly remains undeniable. The way it intrigues and entices people to explore and extract more and more out of it paves avenues for a life full of solace, solitude and peace. After all, getting lost in this impeccably designed world of words and finding yourself all over again is definitely a luxury that anyone and everyone can afford seamlessly, can’t they? Be it the old school crosswords printed in Sunday magazines and newspapers to the new age, contemporary online crosswords, laying your hands on it has always been very easy. In fact, with the emergence of the oh-so-cool online crossword puzzles, accessing it is literally just a click away! You can play it anywhere, anytime on your smartphone, tablet or laptop along with a strong internet or Wi-Fi connection. All thanks to technology that’s helping the evergreen crosswords scale new heights of growth and development. And, one of the biggest names that has emerged as an ultimate word game in the field of crosswords is Wealth Words. With its grandeur, aura, uniqueness,and creativity, it has literally transformed the way crossword was played. Wondering what’s so amazingly unique about this word game? Well, let me unveil the curtain for you, folks! Yes, there are a plethora of online crosswords doing the rounds of the internet but, what makes Wealth Words different from its counterparts is the huge cash prizes it bestows its players with. Yes, you heard that right! Playing Wealth Words doesn’t only make you wise but, wealthy too. Sounds amazing, doesn’t it? Imagine beating your stress with a simple word game while laughing all the way to bank. How cool would be that! Curious if it’s difficult to win big at Wealth Words? Wondering if you require any high-end skills to bring all those cash prizes in your kitty? Well, the answer is a big NO! Yes, playing and winning at Wealth Words doesn’t require any rocket science. All you need is a little focus and precision to grasp the clues and cues given and trust me, you will be good to go and earn lots and lots of cash prizes. However, you need to register and purchase tokens worth $2 each for diving in this world of words. Once registered, you can log in at any moment and start playing your heart out while submitting your answers in an active time frame one hour. Make sure to keep track of the time frame because that’s crucial to be in the ultimate race of winning division 1 and division 2 cash prizes. As far as these divisional cash prizes are concerned, these can be won by of course getting the puzzles right. While the division 1 cash prizes are meant for the player who gets all the 20 puzzles right, the division 2 cash prizes are given to the player with the second highest correct answers. In addition, Wealth Words also has a series of other short and active games where you can easily win cash prizes as high as $10,000. Now, that’s pretty huge, right? Excited to try your hands at Wealth Words? Want to scale up your PayPal account with all those cash prizes available? Well, go on, grab your digital device and play Wealth Words all day long. In fact, you can even try its open game which lets you play Wealth Words without having to register or buy tokens for a while. Convenient enough, isn’t it? 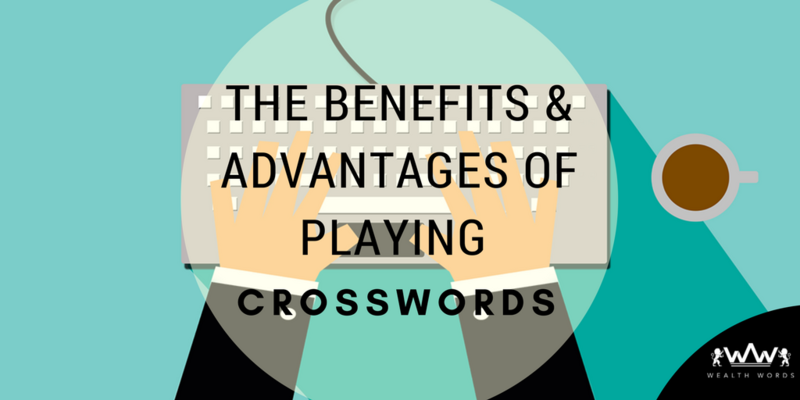 So, go ahead and experience the world of crosswords like never before! How Crossword Puzzles Affect Our Brain?